SALEM, Ore. – A bill designed to help Oregon renters will head to Oregon Governor Kate Brown’s desk for her approval. 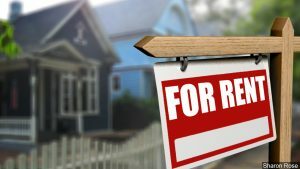 Current Oregon law allows both landlords and tenants to terminate month-to-month rental agreements without cause as long as 30 days notice is issued. Senate Bill 608 would prohibit landlords from enacting so-called “no-cause” evictions if tenants have lived at the property for over one year. In addition, the legislation would limit residential rent increases to one per year and cap the increases, tying them to the consumer price index. Previously passed by the Senate, the House voted in favor of the measure on February 26. Governor Kate Brown is expected to sign the legislation, which delcares and “emergency,” instantly making it law once it’s signed. While the bill receives support from many citizens, some are worried about unintended consequences. A fiscal impact report states SB 608 could, though unlikely, increase overall evictions. In addition, the Oregon Department of Justice said there is a small possibility the measure could increase forcible entry filings, small claims action, or related appeals that could lengthen court proceedings.